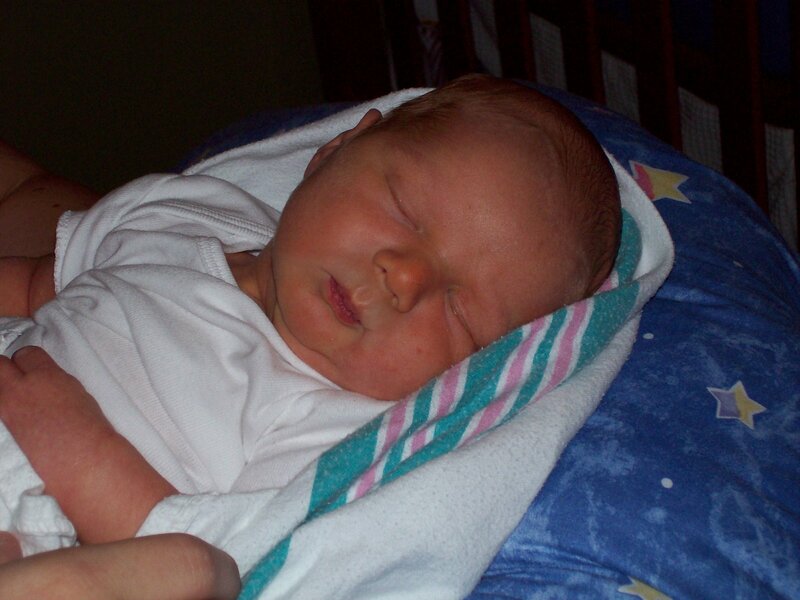 Today my first baby turns SEVEN! I don’t feel old enough to have a seven year old! 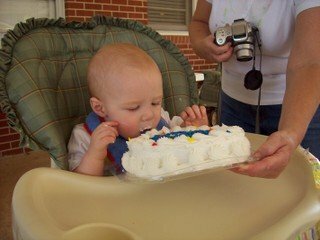 I’ve been thinking today back to that day that he was born. It’s bittersweet to think about! So, in honor of his day, I thought I’d ask him some questions about himself to share with everyone! Things to do: Build and play with Lego sets, play with Eli, catch grasshoppers in the back yard, ride his bike, go to Baby Cafe to play with friends, go to church and play the wii. If you could invent something that would make life easier for people, what would you invent? Real life Iron Man armor to protect people. And Eli said his favorite thing about Luke was that he plays with him! Luke is such a great kid! He’s very loyal and honest! (He recently confessed that he had done something wrong in the middle of Wright’s Dairy because it was eating away at him!) He has been a great help to me since Jude arrived. He’s very gentle with him! He’s a thinker and enjoys figuring things out. Luke is super smart, too (He must have a great teacher!)! He’s also very social and loves to spend time with his friends. 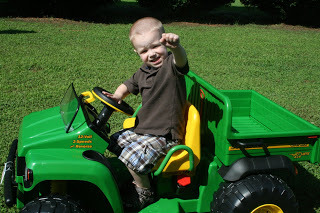 He has a great sense of humor, which he gets that from his daddy! He has a tender heart and I can’t wait to watch him grow and develop! I know God has great things in store for him! We are abundantly blessed! I’m thanking God today for such a wonderful gift! FYI, the teacher thing was totally a joke! 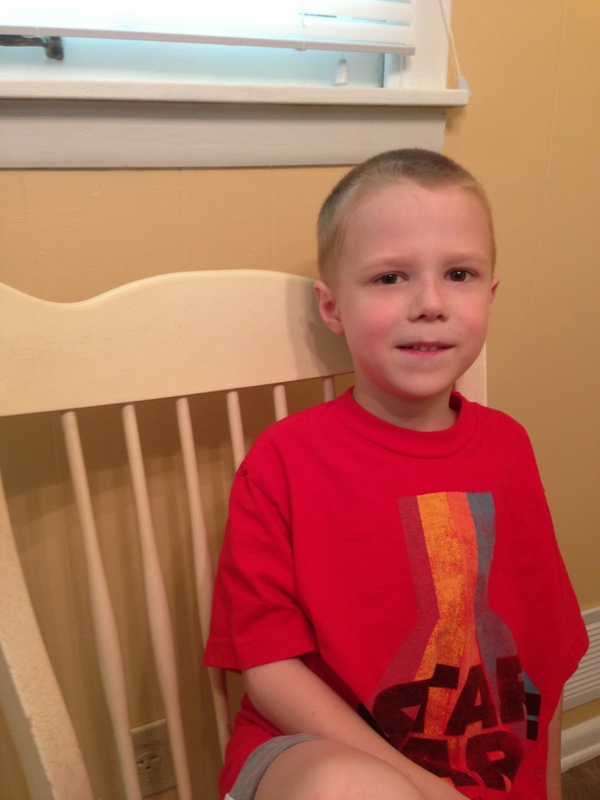 Luke, today you are FIVE! A whole hand full of fingers! Time has flown and my heart is full! What a gift you are! How I love that boy above. 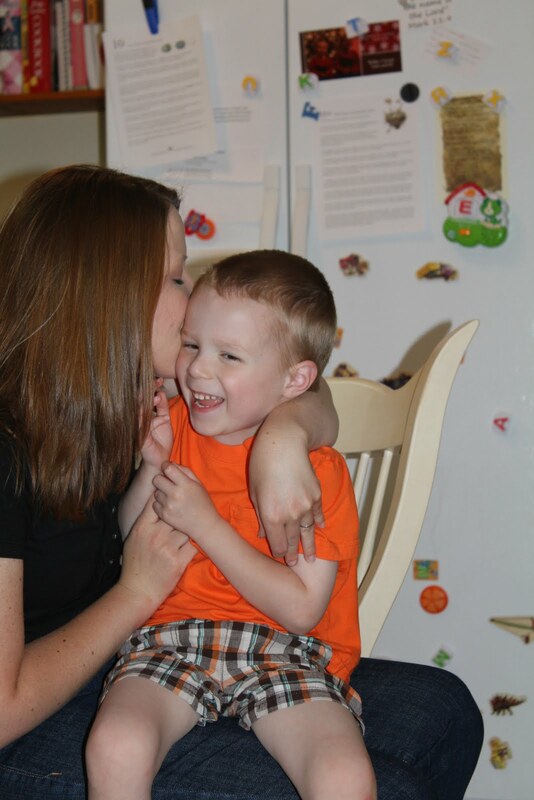 I can’t believe it’s time for Kindergarten! I’m so looking forward to our first year of home school! You are so smart and I can’t wait to watch you learn more! My prayer for you today and always, my dear, is that God would draw you near, that God will give you a new heart and put a new spirit in you (Ezekiel 3:26). And may God give me strength (and always much grace) to show you that Christ is all… He is everything. I love you, love you! Things have been a little out of the ordinary around here (in many ways!) the past few days! So, in celebration here are a few silly pictures of the kids! 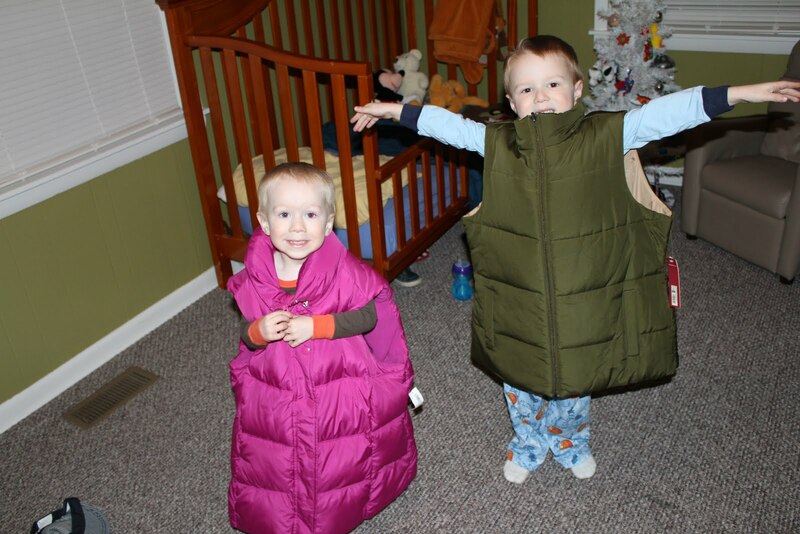 And last, here are my two munchkins wearing two new vests that I got for Christmas early. I’ve never been into the puffy vests but I’m liking them this year. I haven’t completely decided on the pink one. The boys look so funny in them! I thought I’d take a little time today to share a little about what’s going on with each of us! First Luke: Luke is a typical boy! He loves all things weapons, although the boys don’t actually have any! Not that we are against them as toys.. just that we don’t have any. Because, with boys, even if you don’t have any.. they will make them. Luke makes guns and swords out of his Trio blocks all of the time! 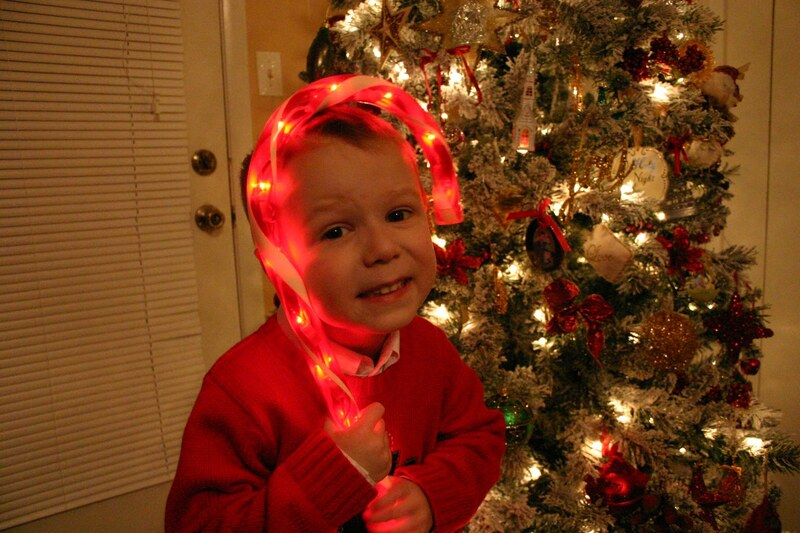 He can be really silly and get everyone to laughing, especially Eli! At the same time he can be really moody and need his space, but don’t we all?! He loves playing soccer.. well, he loves going to soccer practice and games! He’s not much of a player yet! He really likes to socialize and play (games, not soccer) with his teammates! He’s not very big on going after the ball, he’d much rather it come right to him. And I mean, that’s probably the only way he will ever make contact with it! It will have to land right in front of him… and then he still may not kick it! He’s having fun though, and that’s what matters! He LOVES to get dressed and likes to dress himself. He doesn’t always match but most of the time I just let him do whatever. The only time I intervene is when we’re going to church or somewhere special. He also loves to wear socks and shoes! He’s not a big flip flop or sandal wearer. There have been times when I just had to make him wear sandals! Thank goodness colder weather is around the corner (I hope!). Luke is a great big brother (most of the time). He and Eli are starting to play more and more together. Luke is pretty protective of his brother and lets me know if Eli is doing something that might hurt him. The sweetest is when Luke steals a kiss from Eli and he doesn’t know anyone is watching! Melts this mommy’s heart! They do fight, of course, but they really are great friends! Now Eli! Eli is a Mommy’s boy! Seriously! Hmm, I feel like I’ve said this before! 😉 Well, he still is! 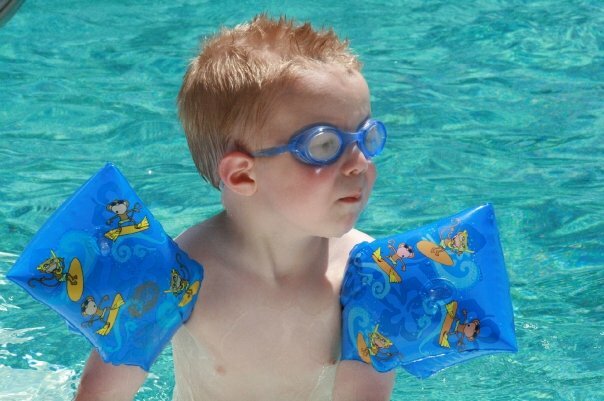 He is also much more go with the flow and relaxed, especially when Mommy is around! He’s not near as moody as Luke! He loves to watch Luke practice and play soccer. He also loves to throw balls! He really has a good chest pass, so we may have a future basketball player on our hands! Eli also loves getting in to everything. Every. Thing. I know we saw this coming. 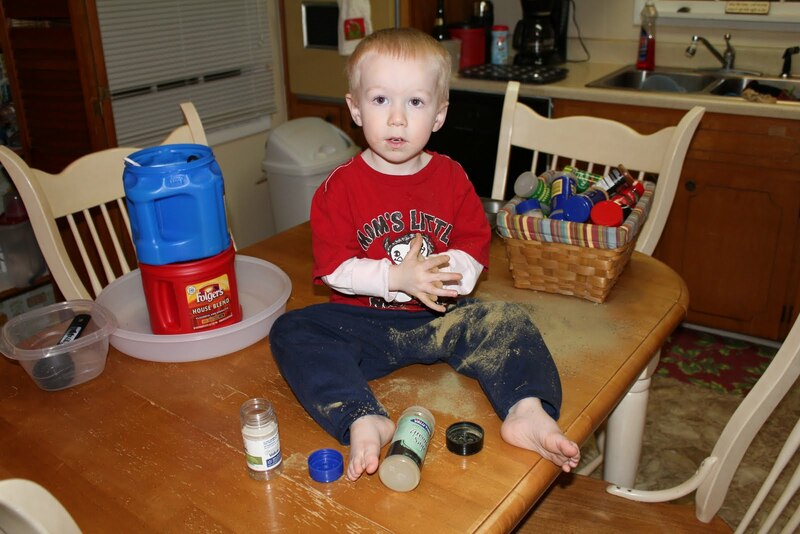 We just knew he would be the child to strow everything out, get into stuff, make huge messes, never understand the meaning of “No” or “Don’t Touch!” (see above picture!) I think it’s more his little personality rather than just the ‘terrible twos’. He’s very independent! He thinks he can do anything and will try! And all the while he is a little love bug! He will gladly sit in your lap for hours or shower you with hugs and kisses! The Hubs- The Hubs is in full swing school mode. He had his first Algebra test last week and made a 99! So proud of him! He started off the school semester doing homework in the kitchen and that did not work out! It’s true that the kitchen is the hub of the household! So, we cleared out the treadmill in the bedroom (need a new place to hang clothes now!) and put a table that the Hubs mom had given us in it’s place. It’s worked out much better now, although wireless has been giving him problems! And since his school work is online (even his ‘on campus’ class has online homework, that’s been trying for him. And me- Well, my knee/upper thigh is still giving me problems. I went to the Dr a little over a month ago with it and was told after an X-ray that I had a tilted knee cap. I was told to take Rx ibuprofen and do some exercises. But I feel like there is much more going on. I haven’t had the sharp pains in my thigh lately but I still have a place right above my knee that is swollen. 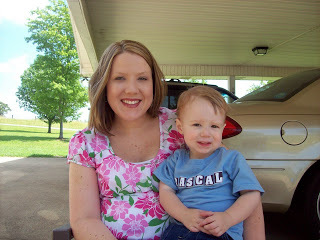 I’ve tried this week to keep it up here and there but it really is hard when you’re home with two boys all the time! I just had to let some housework go. My knee has felt better at night (when it usually starts throbbing) but the swelling hasn’t changed. So, I’m not sure what to do. I haven’t been exercising either, for fear of hurting it worse (I kind of feel like Jillian might have been part of my problem!). And I can totally tell! I haven’t gained any weight but I just don’t feel as good.. and I feel all stiff! I just finished reading Intimate Issues. And all I’ll say about that is that it’s a good book for married, Christian women! I just started reading The Mission of Motherhood by Sally Clarkson. It’s sooo good! I really wish I was reading it with a group of women, so I could discuss it! It would be a great group discussion book study! I didn’t get any response with that idea though, but maybe in the future! I also just started reading Hebrews. I read Joshua, Judges and Ruth in a row and just thought it was time for some New Testament! Well, there is a little bit of info on what’s going on in our house! I saw this one someones facebook page and wanted to do it with Luke. Funny! 1. What is something mommy always says to you? God knows how many things. 2. What makes mommy happy? Praying to God. 3. What makes mommy sad? Scared. 4. What does your mommy do that makes you laugh? Say funny stuff. 5. What did your mommy like to do when she was a child? Play with baby toys. 6. How old is your mommy? 13. 11. What is your mommy really good at? Cleaning up. 13. What does your mommy do for her job? Clean up and clean up the bathroom and my bathroom and the floor. 16. If your mommy were a cartoon character, who would she be? A girl cartoon. 17. What do you and your mommy do together? Play some games, like where I get some out of my closet. 18. How are you and your mommy the same? We love God. 19. How are you and your mommy different? We don’t wear the same clothes. 21. What does your mommy like most about your daddy? When you’re scared you get daddy. 22. Where is your mommy’s favorite place to go? To the store to get stuff. 1. Bible Time– Right now we’re using this book (ok, well I can’t find it online.. but I’ll try to take a picture later and post it). The stories are really simple and the boys enjoy listening to the stories. It comes with a DVD of the stories being read to the pictures in the book and then there is a song after it that goes along with the story. They also like learning new songs about the stories too! I’m also hoping to purchase The Jesus Storybook Bible. Hopefully we can get it for later in the year! We will also be continuing Scripture memory (link below) to go along with our letter of the week. 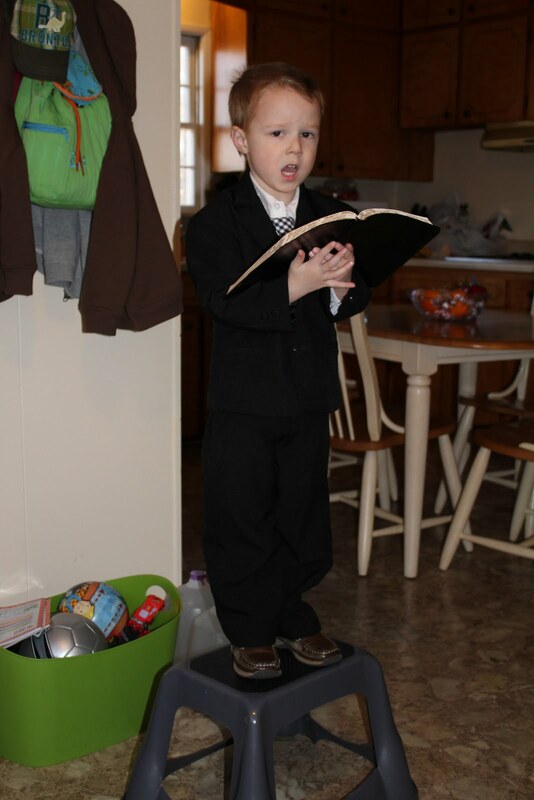 Confessions of a Homeschooler – I get lots of ideas and do many downloads from her site! 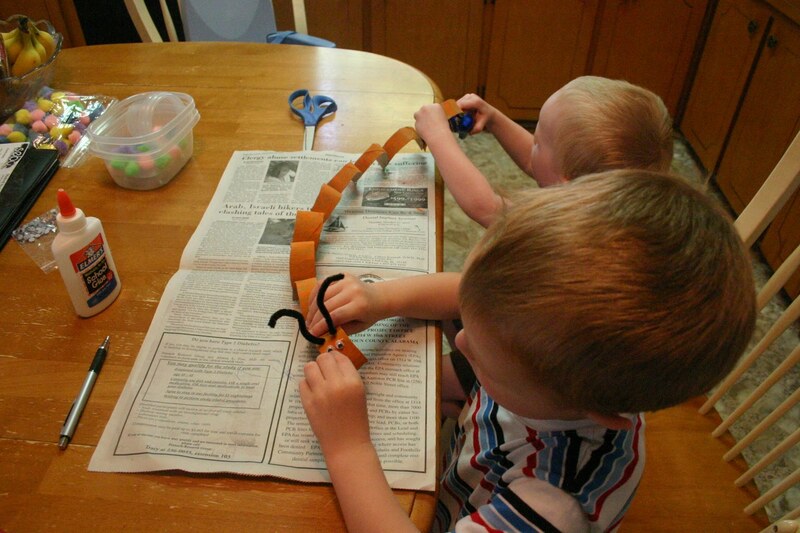 ABC and 123 – Again, tons of ideas! Ok, I could go on and on! There are so many great resources but these are a great place to start! 3. 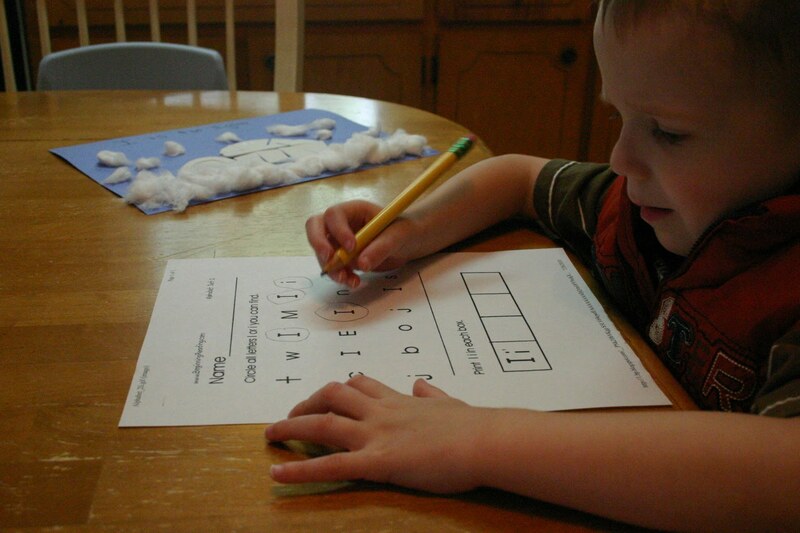 Math/Science- We’ll start off the year doing Kumon Numbers 1-30 and go from there. I always incorporate math and science into our activities. We learn about different animals, places, etc along with our letter of the week. We count and sort and sequence and take away and add. It really is amazing what you can tie in! For instance this week we will be talking about our sense of taste and smell! Lemons anyone? We’ve also talked made ladybugs and counted spots, legs, etc. 5. House Rules and Character Traits: We are using Gregg Harris’ 21 Rules of This House. I love each one of them and they will be good for the Hubs and I to remember as well! We will be going over one a week and reading Scripture that goes along with them during family time. I’ll be incorporating these Character Qualities during the day as well. We’ll just talk about them as we go about our day.. nothing formal. Also on my list is the the Westminster Shorter Catechism and the Ten Commandments. All of these things can be woven into daily life. Letter I was so much fun! I usually try to start off the week a letter collage. This helps Luke to see the letter we’re going to learn about and we also talk about all of the words that our letter starts with! After naming off lots of letter I words, we did a fun science experiment! Luke had two bowls, one with hot water and one with cold water. Then he put two ice cubes in each bowl! Which ice cube melts faster? 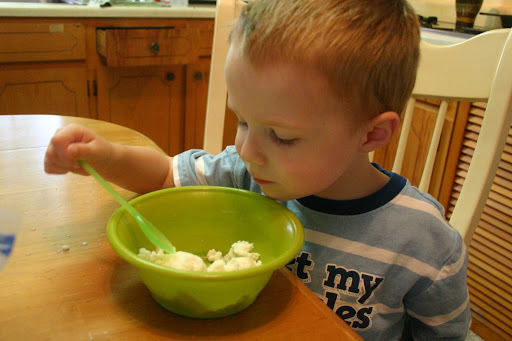 He had so much fun with this and it was a great way to talk about solids and liquids/hot and cold. Lots of learning! Then, we took some Ice cubes outside and played with them on the hot pavement. We intended to do some ice drawing on the driveway but it had just rained. 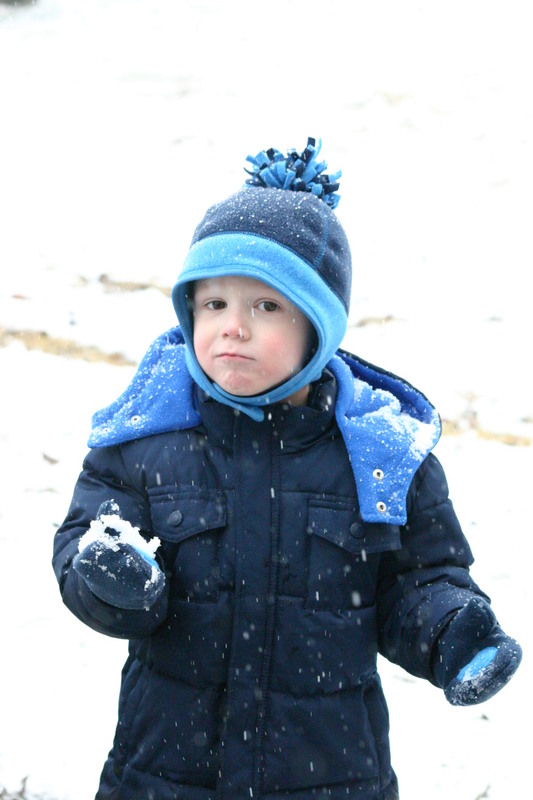 Luke still had fun watching the ice melt and playing with it! 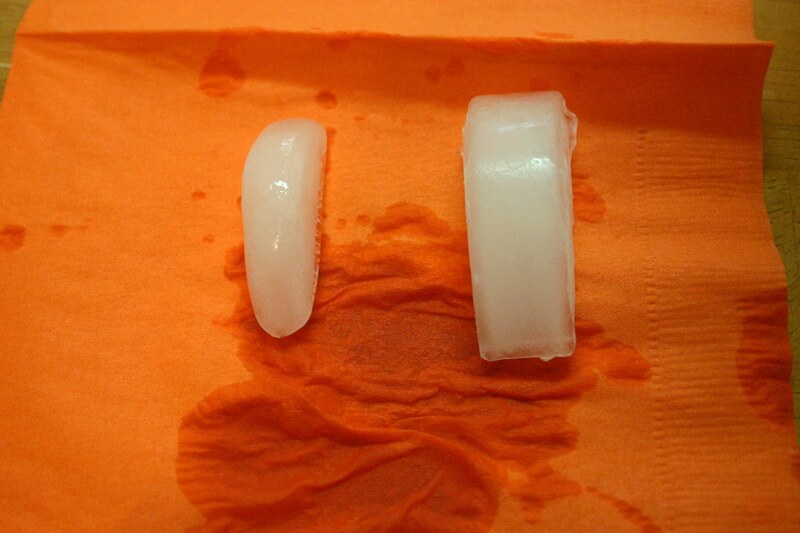 When we came back in we compared one of our ice cubes we had been playing with with a fresh one from the freezer! 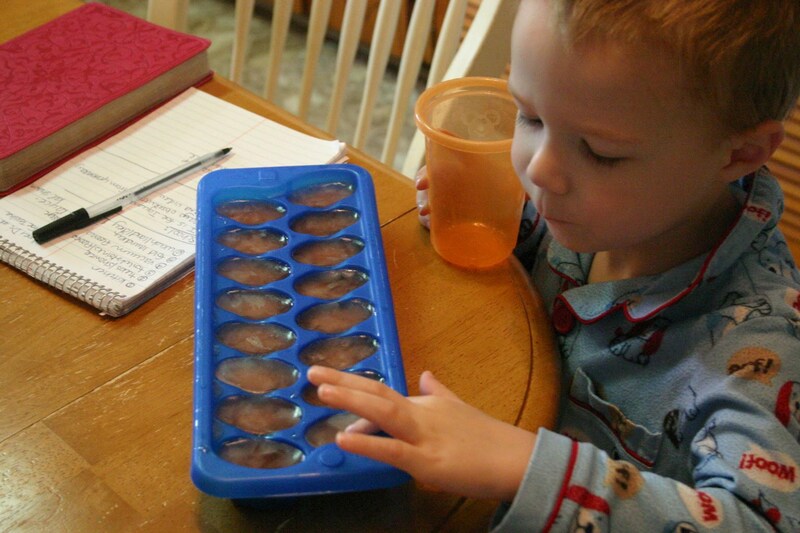 We also decided to make juice ice cubes! Luke poured the juice into the ice tray and we put them in the freezer! The first thing he said when he got up was that we had to get the ice cubes from the freezer! I’m glad he remembered because I probably wouldn’t have until later!! Both boys got in on the action for this project! 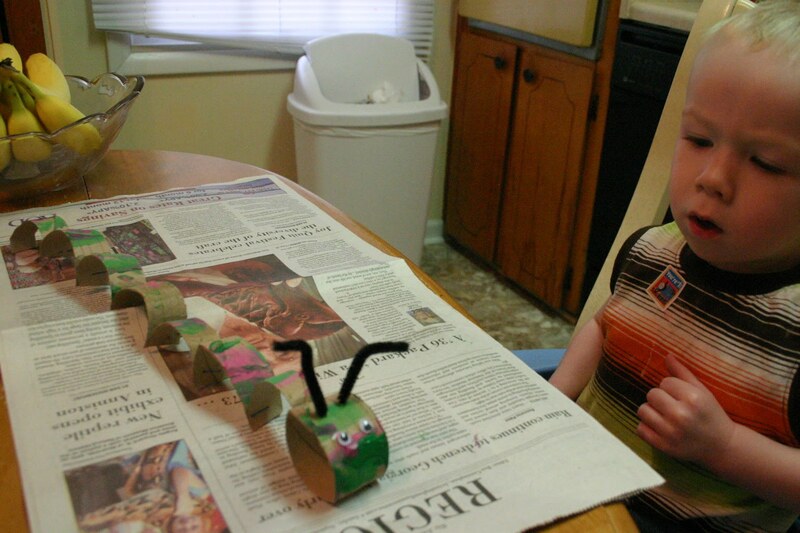 I took empty paper towel rolls and let the boys paint them. Once they were dried, I cut them into rings. You really only need half of a paper towel roll for each one (or one empty toilet paper roll per child). I left one circle for the head and then cut all of the other circles to staple together. Then we glued eyes and and poked two holes on top and weaved pipe cleaner through for the feelers! Cute Inch Worms! 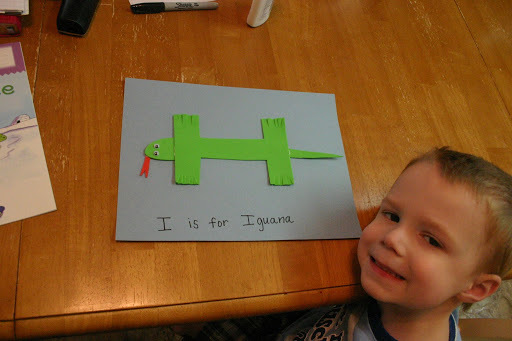 Next we learned all about Iguana’s and did an alphabet craft from Totally Tots! Did you know iguanas can lose their tails just like smaller lizards and they will grow back? We made yummy homemade Ice cream which I decided to do a whole post about. It was really fun and tasty! 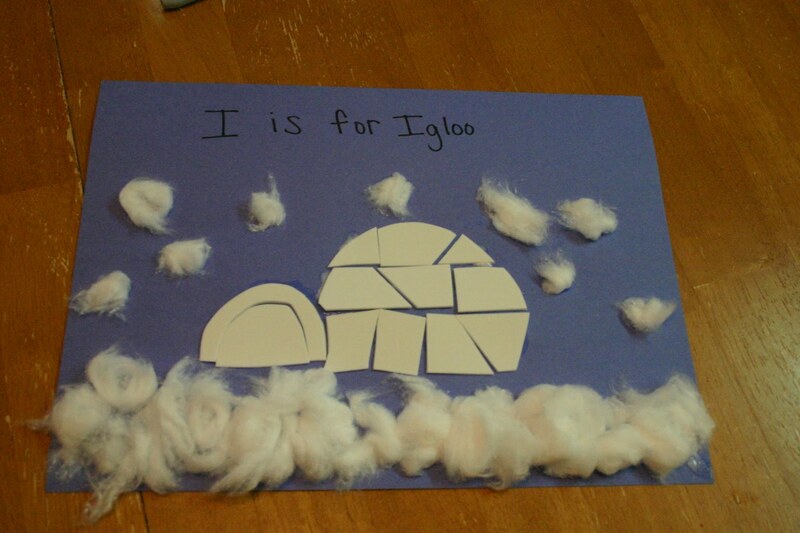 Next, I cut out an igloo from white foam and then made it into a puzzle for Luke to piece together. It was actually harder than it looks! We used cotton balls for the snow and snow flakes! Our verse was “May my prayer be set before you like Incense.” Psalm 141:2. We had some great discussion on what it means to worship God and all of the different ways we can worship here! "Sometimes I can’t be good." Typically, at lunch time, we talk about our memory verse and what it means. Then we listen to our Songs for Saplings CD and sing our verse (and previous verses). The boys LOVE singing. I just wish there were more kids scripture CD’s out there. It’s great for them and for myself! It’s so easy to learn verses set to music! This was music to my ears. Yes, son!! You are right! Now, many parents would have corrected their child. Oh, sure you can, we can all be good if we just try to do the right thing. But the Bible tells us that there are none good (Romans 3:10). 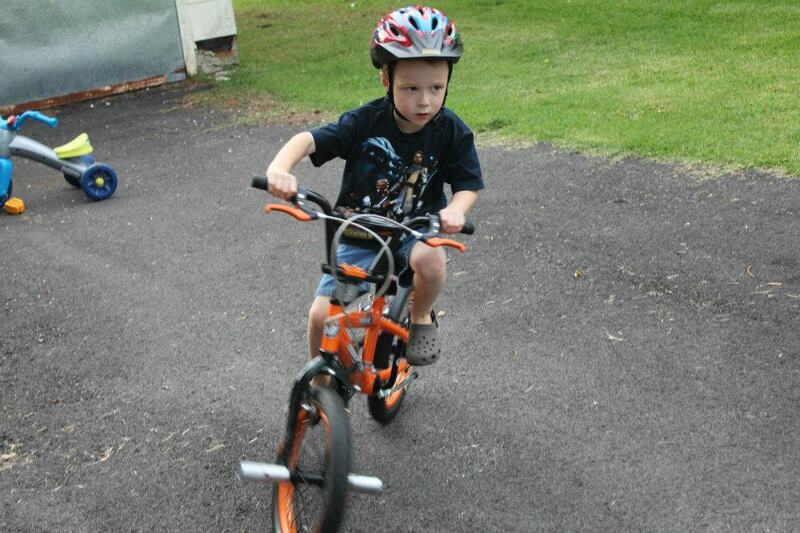 At that moment, I was just so thankful that he is learning that he can’t be good on his own. So, I took the opportunity to share with him that the only way we can be good is through Jesus. I also took that opportunity to thank God that I am home with my children to take advantage of moments like that. My prayer is that we will be diligent in teaching our boys the truths of the gospel and that God will give Luke & Eli wisdom to see themselves in great need of rescuing. And may we also be diligent in teaching them that there is only One who can rescue them!! Oh Lord, save their souls! Let’s do a project, Mommy! It’s been a while since I shared any of our crafts or ‘projects’ as Luke likes to call them, hence my title! Back in May, I decided that from June to July, we’d take a break from preschool activities but Luke started asking me about it. So, we started back up a little and have been doing some since! He just loves doing crafts and learning! So, I might as well take advantage of it! Not to mention that during the middle of the day it’s just to hot to do anything outside!! So, these keep him busy! Below are a few pictures of the recent crafts that we’ve done. We’ve done the letters E and F and learned a little about different things that start with those letters. And yes, my pictures are backwards! We did E first, although it doesn’t come first here! 😉 I will have links to all of the crafts! 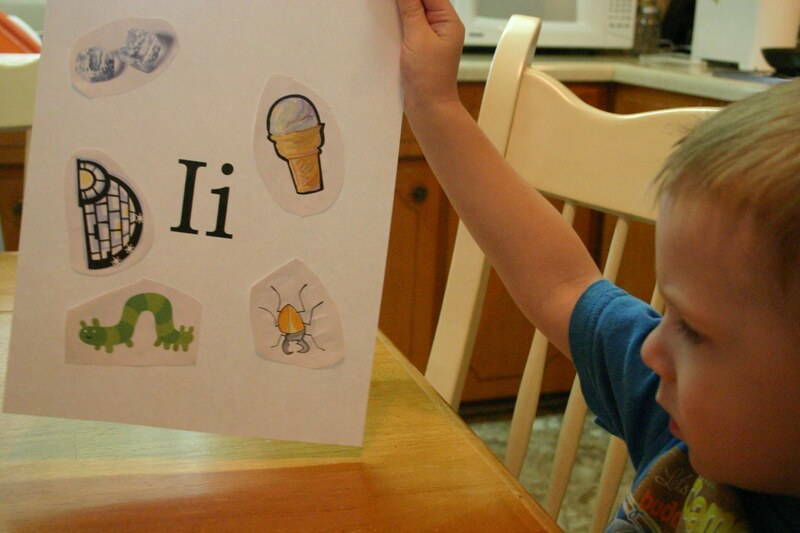 Here is Luke doing a letter Ff collage! We also made a cute fish bowl for our alphabet book! Luke had a blast making it! 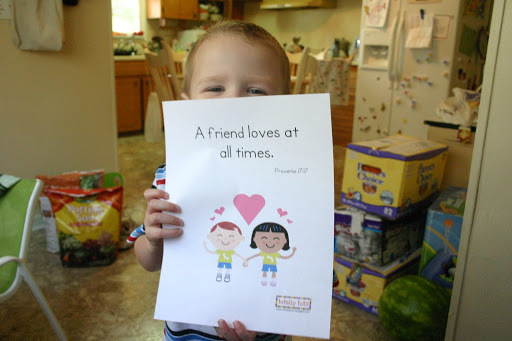 This week’s memory verse is, “A friend loves at all times.” Proverbs 17:17. This verse is also on the Song’s for Saplings ABC CD, which I highly recommend! Actually you can enter a giveaway here to win a copy of the cd! I bought mine a while back and the boys and I love to listen to it! Updated to add: The printable verse is from Totally Tots. Luke really loved playing this Elephant Sequencing game from Confessions of a Homeschooler! Luke made this cute E is for Elephant (made grayish paint by mixing blue and brown) and we read a book on African and Asian Elephants! This will look great in our alphabet book! I just LOVE these letter crafts! They always turn out soo cute! Luke also did his very first color by number!! He did a great job!! We got the download at Confessions of a Homeschooler! Notice the wardrobe.. hat.. jacket.. in the middle of June. And in preparation of the letter F we planted seeds to grow into flowers (now that’s really confusing since I posted letter F first!)! The Hubs found these in the dollar section at Target! The sunflowers are growing great and hopefully tonight or tomorrow we can get them in the ground or into a bigger pot! Oh, and just so you know, in this photo Luke is wearing a sleeveless shirt.. with a puffy winter vest! And he wore it to run errands all morning! Silly kid! Well, that catches us up on some of what we’re learning about! Thank You Dora and Diego! Yesterday, we took Eli to have a place looked at on his leg. It’s a sunken in place about the size of a nickle. I, of course, started freaking out, thinking the worst (and doing too much reading on the internet!)! Well, to make a long story short, Dr. C told me that what it is is called fat atrophy. It can happen from multiple injection in one place or from a steroid injection. And while it’s not common, it does happen more than you would think. More than likely Eli’s was caused by the steroid (decadron) shot that he got roughly 2 months ago when he had bronchitis. A side effect of steroid injections is fat atrophy. And since the time between when he got the shot to when I noticed the place was only about 3 weeks, it makes perfect sense. I’ve read that some fat atrophy’s are permanent but most resolve themselves in a few months (which is what Dr C told us, 2-3 months). The only thing that we have to do is make sure that if he gets sick and needs an injection that he gets it in the other leg. I just love Dr C, he looked right at me and said, “I know when you notice something like this all kinds of things go through your head… but trust me, this is what it is.” And he just rubbed Eli’s head and kept saying, “I just love this little boy!” I feel truly blessed to have a pediatrician like him. And just from his accent Luke detected that! He’s never spoken Spanish to us.. of course, because we couldn’t understand him! So, thanks Dora and Diego!